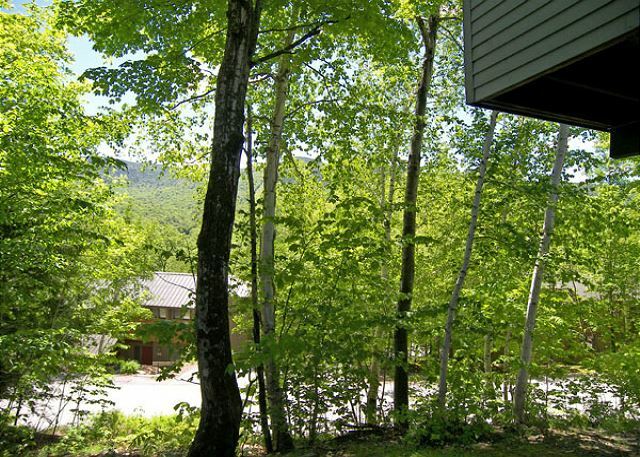 Enjoy a get-away to the White Mountains at this Village of Loon townhouse. 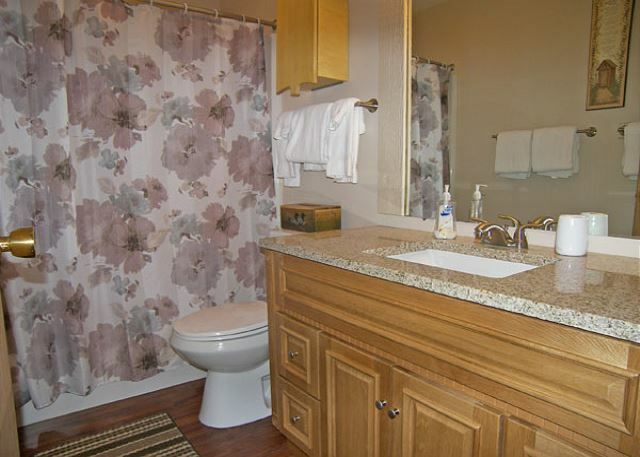 On the entry level of this townhouse you will find a bedroom with a queen size bed and small television with a full newly remodeled bath just outside the door. 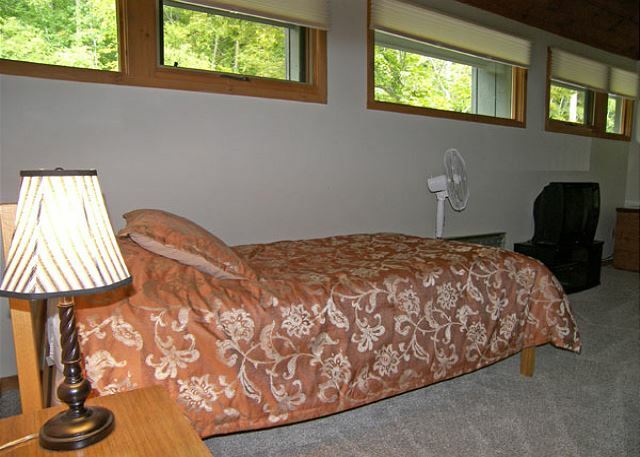 Downstairs is the master bedroom suite with a queen size bed, a twin day bed, a flat screen television and an attached full private bath. The main living level is found above the entry level and holds the kitchen, living and dining areas. 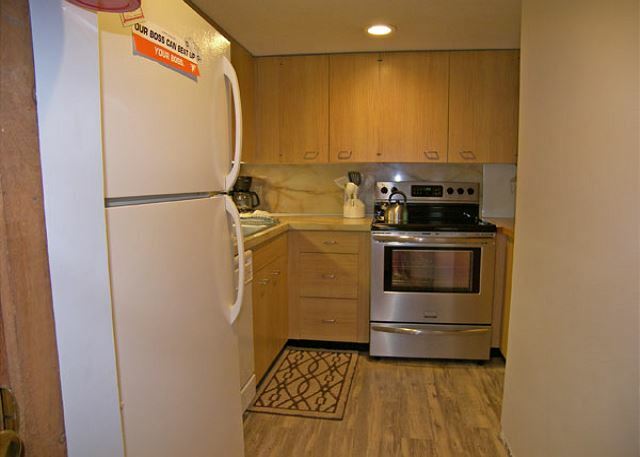 The full kitchen has a glass topped electric stove, a microwave and a dishwasher. 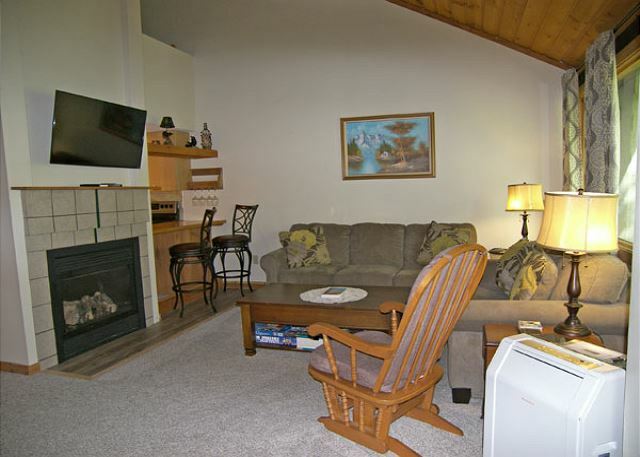 The living area offers a flat screen television, gas fireplace and air conditioning. 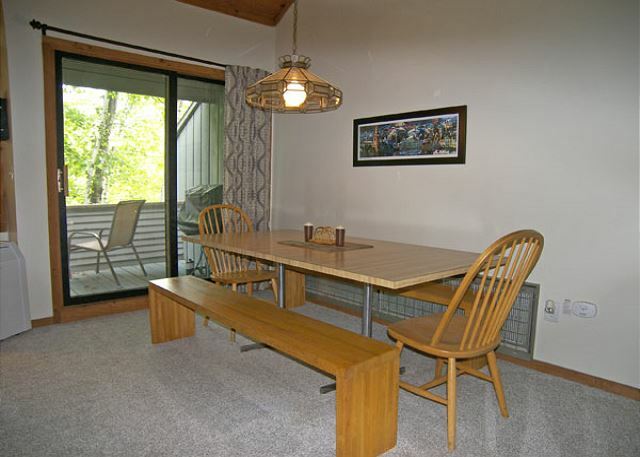 The dining area has a table with seating for six to eight. 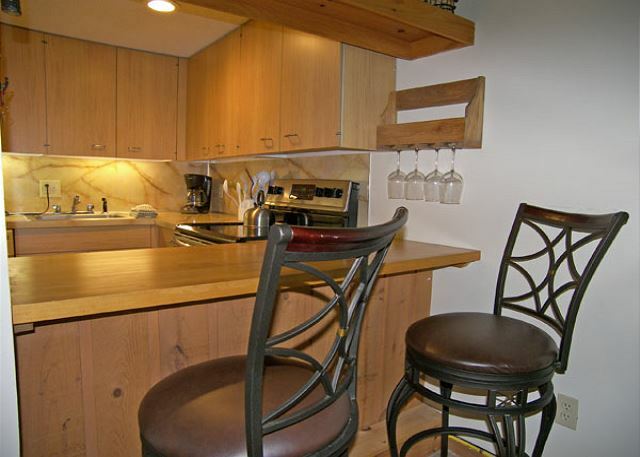 Two additional seats are located at the kitchen counter. 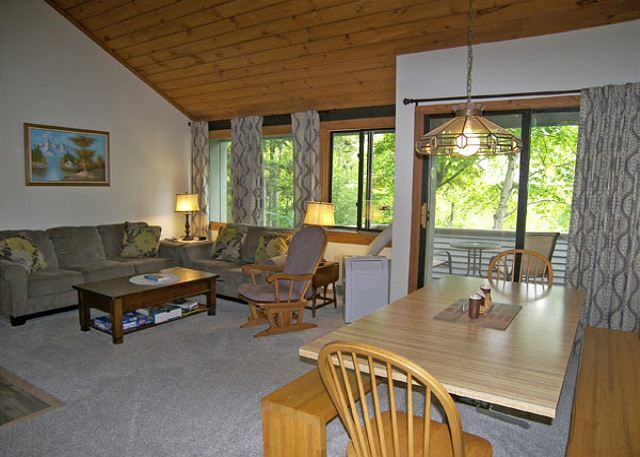 The back deck with a lightly wooded view of Loon Mountain is accessed from the dining area. 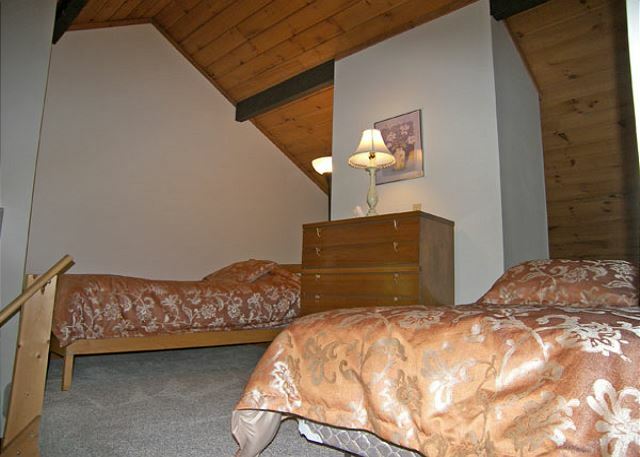 The top-most floor of the townhouse offers a sleeping loft with three twin beds and a television. 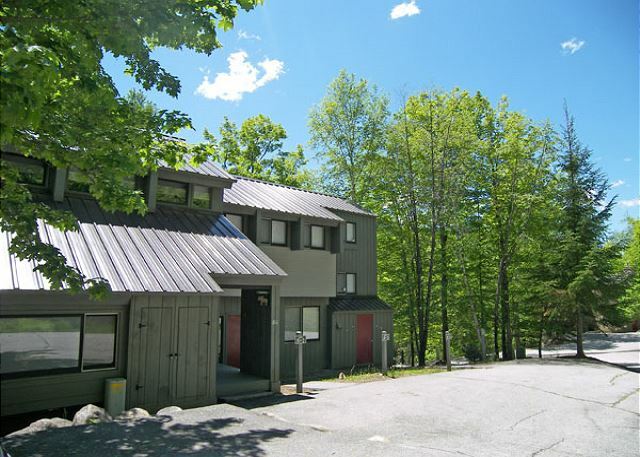 We have stayed in many of the condos at The Village. This condo was a lovely place to stay for our family vacation. We are a family of 4 so there was more than enough room. We would have been happy to have more folks with us. The space is abundant. 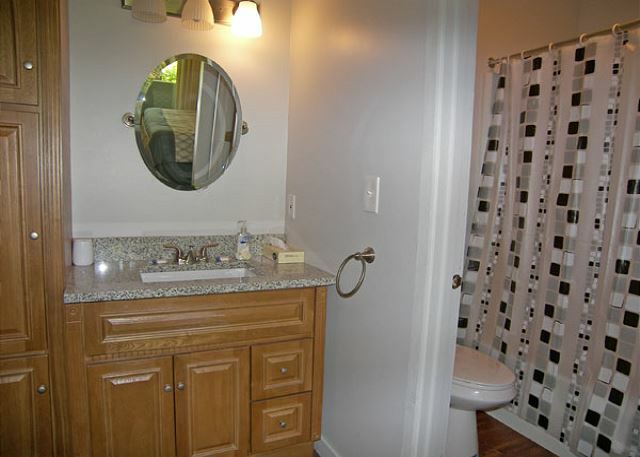 Both bathrooms have a tub which is great for bath tub with little ones. 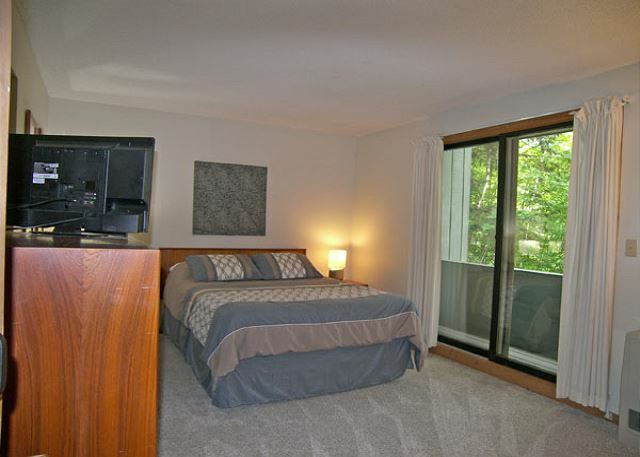 This space has the gas fireplace which makes having a fire easier and safer for the family. We loved it from start to finish. 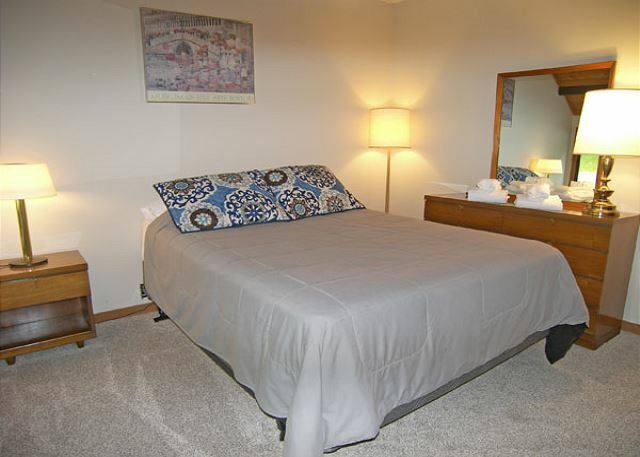 The condo was clean, neat and had all the supplies we needed. There were lots of beds so everyone had their own space. The best part was the bus that came by every 20 minutes to take us to and from the mountain. The only negative was the rental place was hard to find. They did inform us but I did not realize it was on page three of the rental agreement. The location was very good. On the holiday weekend traffic is horrible but that is to be expected. I loved the condo. Only issue we had was for 8 people staying only one couch and one love seat. They need to add another couch in the living room and it would have been perfect. We had a great experience at the beautiful condo. Plenty of space and great set up for a group. Giant window in the living room looking out to Loon Mountain was a wonderful touch.